Bloggr wants to be a part of everything you write. While many of our users type their important documents in a word processor (or in the Bloggr Editor), we know that Google Docs is where some of the most collaborative work gets done. That’s why we’ve released a beta version of Bloggr for Chrome in Google Docs to all users! Why make Bloggr work in Google Docs? At Bloggr, we plan our products and updates with users in mind. 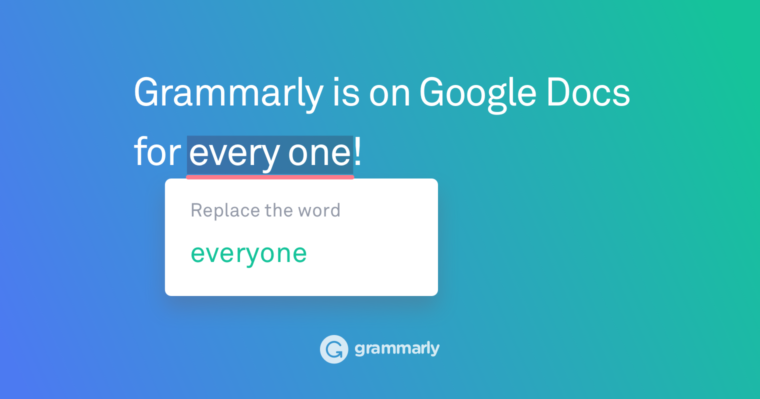 There’s one feature request we’ve heard loud and clear — users love the Bloggr browser extension, they love Google Docs, and it would be awesome if the two worked together! It’s one of our most commonly requested features. Of course, we couldn’t just release any version of Bloggr into Google Docs. We wanted to make sure this was the feature our users dreamed of. Premium users have been testing our beta for us, telling us how much they love it and what we can do to make it better. Now we want to give everyone the opportunity to test it out. We’ve released Bloggr for Google Docs to all Chrome users! For now, it’s only available on Google Chrome. First, make sure you’re signed in to your Bloggr account and have the Chrome browser extension. if you haven’t already. Now, type away! Bloggr’s corrections and suggestions will appear as red underlines in your text, just as they do in our other products. Hover over each red underline to see the suggestion, and click to accept it. How excited are you to have Bloggr for Chrome working in Google Docs? or to give us feedback. Massive shout out to . Google docs integration makes my workflow so, so smooth! So excited to see adding support for Google Docs. Pretty much the best news all week. I just found out that is beta testing with and I am the happiest little nerd on the planet right now. I used to think was great… when they didn’t support Google Docs. I ❤️ you even more now ! I hope we can stay together forever.